with a Master of Science degree in Social Work and a specialization in School Social Work. Downs, a Certified Social Worker (CSW), is currently pursuing certification to be a Licensed Clinical Social Worker (LCSW) and was elected as the Vice President of the Kent School Alumni Council in the summer of 2018 after serving on the council for one year. While pursuing her graduate degree Ashlee completed practicum placements at The Center for Women and Families and Jefferson County Public School (JCPS). Since her graduation from the Kent School, Ashlee has worked at Goodwill of Central and Southern Indiana, The Center for Women and Families, (where she still works part-time as a Crisis Intervention Advocate) and JCPS, where she currently works as a Mental Health Counselor. Ashlee has been a proud Cardinal since childhood as the love for the Louisville Cardinals runs deep in her family. Today, Ashlee lives in the Crescent Hill neighborhood not too far from UofL. 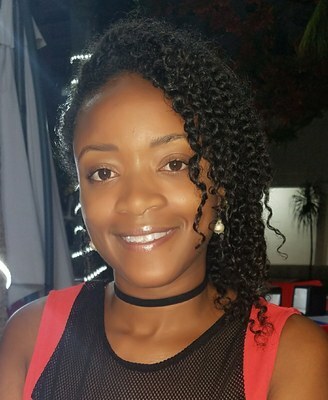 In her free time, she enjoys spending time with her boyfriend Terry, taking care of her two cat fur babies Romi and Reagan, teaching fitness classes (especially Zumba), running, volunteering, traveling and exploring various cultures. Ashlee encourages everyone to be advocates for justice in all that they do and looks forward to connecting with fellow alumni at Alumni Council programming, UofL sporting events or even at her Zumba classes! MSSW student, Joysha Luhman is the recipient of the Elaine C. Payne Scholarship, named after the mother of Kent Alumni Darrell Payne, Esq. This award goes to benefit an MSSW student for the use of tuition, books, or any other education expense directly related to the pursuit of their degree. Preference is given to single mothers who value education from historically underrepresented backgrounds. 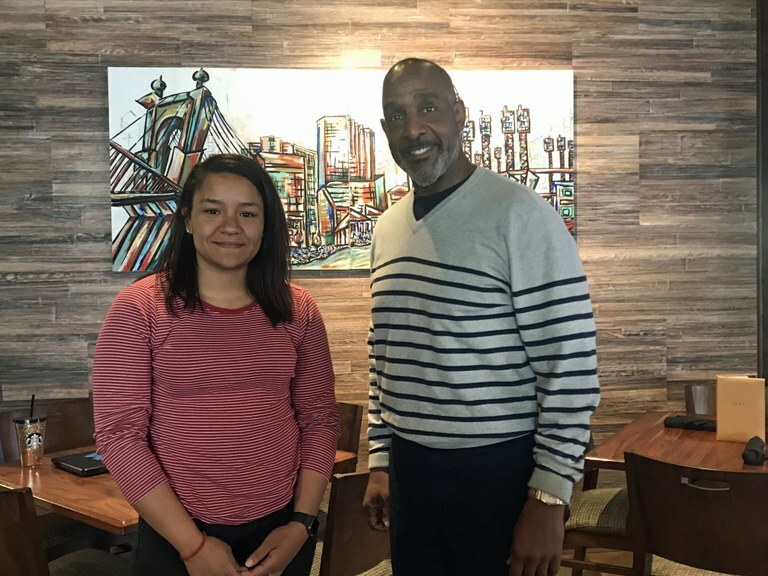 Joysha is the second recipient of this annual award and is anticipating graduation this May and hopes to pursue a career related to juvenile justice. Joysha has greatly enjoyed her time and experience here at the Kent School, both in online courses and in the classroom. 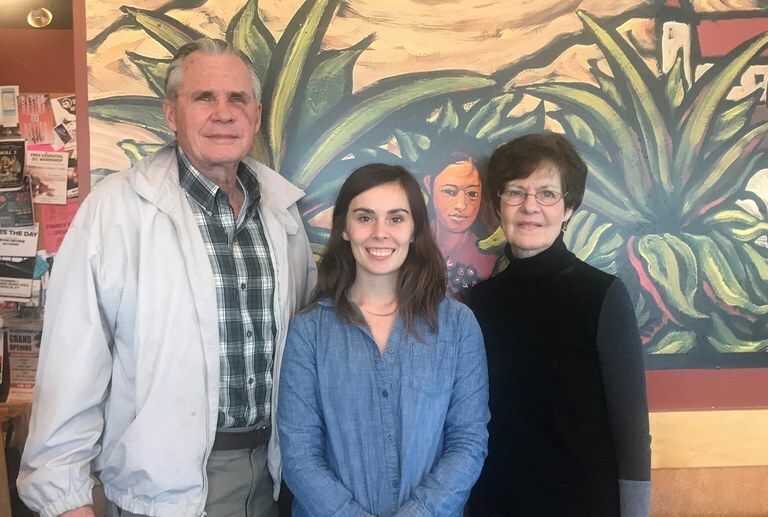 Particularly, her experience with faculty members and their dedication to students and how much she appreciates receiving the financial assistance of this scholarship in addition to the support of her family. Darrell is an MSSW graduate, class of 1982. Now a practicing personal injury and criminal lawyer, Darrell owns his own private practice in Cincinnati, the Law Offices of Darrell Payne. He also looks back fondly on his experience in the program and attributes his sense of empathy and ability to relate to his clients to the education he received from the Kent School. He has eight siblings and admires his mother's work ethic for raising her children and her commitment to each of them and their education. Darrell's mother, Elaine, was one of the first black students at the University of Louisville, which is a point of pride for their family. Darrell received a full scholarship as a student at the Kent School and is grateful to be in a place in his life to give back to the University of Louisville in support of education. The Ed Wunsch Scholars Fund goes to benefit one student annually who prefers working with the elderly population either through practicum placement, enrollment in the Gerontology Specialization or field research. Ed and Katie met on September 13th at a scholarship donor and recipient lunch. Katie Cameron, a Kent School MSSW/PhD student is the first recipient of the Ed Wunsch Scholars Fund. Katie is engaged in practicum at the Family Community Clinic and does research at the Institute for Sustainable Health and Optimal Aging. She was born and raised in a small town near Toronto, Canada and came to Louisville specifically for the Kent School’s social work program. Katie is in her third year of graduate studies at Kent and is interested in research as it pertains to our healthcare system. Alumni scholarship donor Ed Wunsch, Class of 1967, has his own private practice. Edward C. Wunsch & Associates, provides resources to the aging community including nursing home placement, counseling and Medicare/Medicaid. Ed is known to have spearheaded social work programs for 30 years in several Louisville hospitals starting in the late 1960’s. He also established one of the first programs of gerontology in the Louisville area. The University of Louisville’s Development Department hosted the meet and greet to give the donor and recipient the opportunity to meet in person and connect with each another. The Stevens scholarship is available to BSW or MSSW students interested in gerontology. Sheela Stevens and Patsy Tivett met on Thursday 9/13 at the Old Spaghetti Factory. Patsy Tivett is a Senior BSW student and is the second recipient of the Sheela Stevens Scholarship in Gerontology. She is completing her practicum at Elderserve and is interested in continuing her education in completing a Masters degree. Sheela Stevens, donor to the Sheela Stevens Scholarship, received her undergraduate degree in Psychology from UL in 85, and her Masters in Social Work from the Kent School in 1989. She now works for Atria Senior Living. The University of Louisville’s Development Department hosted the donor scholar meet and greet to give the donors and scholarship recipients the opportunity to meet in person and connect with each another. Julia Lehr, a MSSW student in the Couples and Family Therapy Specialization, is the recipient of the Joe H. and Carolyn S. Brown Endowed Scholarship. Julia is in her second year of the program and hopes to pursue a career in wildlife therapy upon graduation. Joe Brown is a former faculty member of the Kent School. He and his wife, Carolyn, have been long time donors and supporters of the Kent School, establishing this scholarship in 2013. The Brown’s generosity continues as they have established another scholarship opportunity within the CFT program this year, the Family Empowerment Scholarship. Joe and Carolyn’s hope is that one day all students in the program will be able to receive scholarships to support their educational journey. 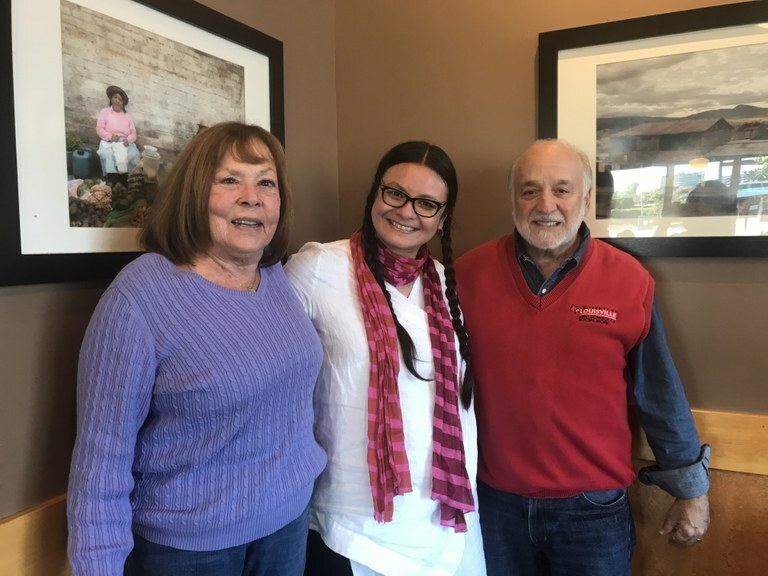 On October 24th, Dean Emeritus Terry Singer and his wife, Nancy met their scholarship recipient, Leone Fulkerson. Leone is in her final year of the MSSW program and is in the oncology specialization. Leone has had a longstanding interest in end of life care and found the oncology specialization to align well with the studies she liked to pursue. She is currently completing her practicum at the VA Hospital and is also engaged in a research project interviewing elderly in the prison system. Terry and Nancy Singer have supported the Kent School since the mid 90’s at the onset of Terry’s term as Dean of the Kent School. During Terry’s tenure he established the only national endowed chair in oncology- The Renato LaRocca Chair in Oncology Social Work. The Singers established their scholarship in 2011 and their generosity to endow their fund has, and will continue to support Kent students interested in studying oncology at the University of Louisville. The Singer’s remain incredible advocates, educators, and philanthropic supporters of the Kent School and the University of Louisville. Their generosity continues to be immeasurably appreciated and impactful on our students and the community.